Houston is known for its many cultural attractions, however, there is more than culture festivals and educational museums. today we want to talk about The Moody Gardens Theme park, one of Houston's most touristic attractions. divided into several areas and modules it is one of the best Zoo experiences in the country. This unique and excellent theme park features various areas divided into its own unique characteristics, not only that, there are many seasonal events that take place on specific dates every year, and the nearest ones are the Ice land: Pole-to-Pole and the Festival of Lights, we will talk about them in this article. The Aquarium Pyramid is one of the 3 main attractions of this park, it is divided into 5 different aquatic areas first the Gulf of Mexico area with a really big circular fish tank followed by the South Atlantic where you can enjoy the beautiful tuxedo-clad penguin's, then the South Pacific distinguished by its rainbows of biodiversity, the North Pacific teeming with life on grand scale with water forests and corals, and finally ending with the Caribbean unique to known as a mosaic of habitats populated by mangroves, stingrays, shrimps, starfishes and more. All these areas are guided by little yellow fish marks that serves as a walking guide helpful to not miss anything or yourself and or to backtrack to previous areas. The Rainforest Pyramid is a green area that simulates the big natural forests of the world, animals are all hidden to face the harsh climates of these forests but their symphony of sound, sings, and growl can be heard all over the place. 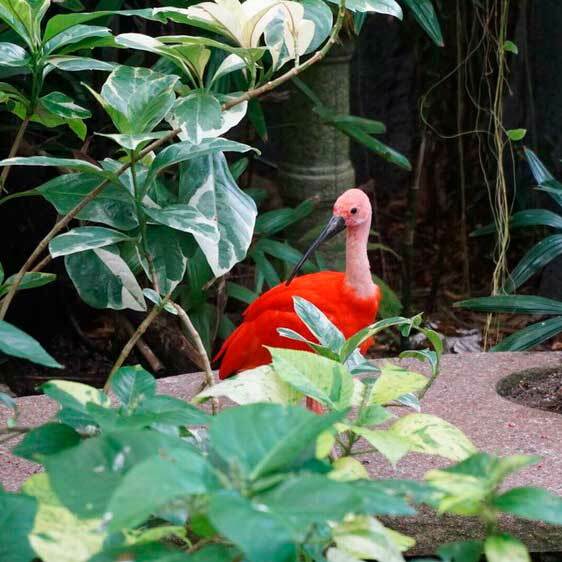 Depending on the area you are located you may see enclosed cages with little animals like frogs and chameleons, and more open areas for the bigger animals like River Otters, Birds, Apes and the big trees. 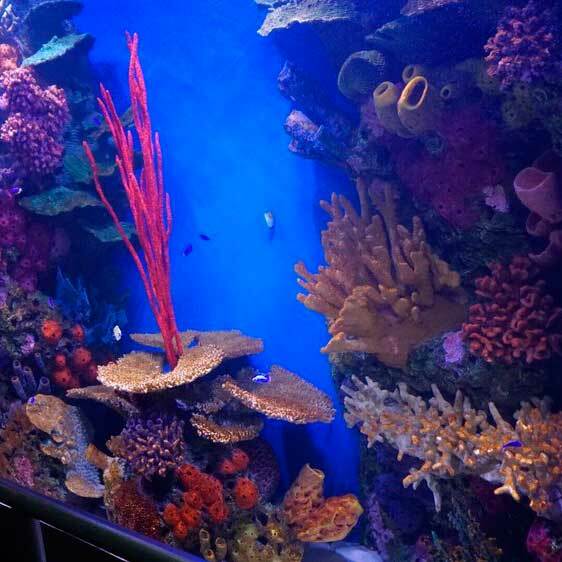 All these areas are maintained with tropical temperatures to emulate these animal habitats as much as possible. 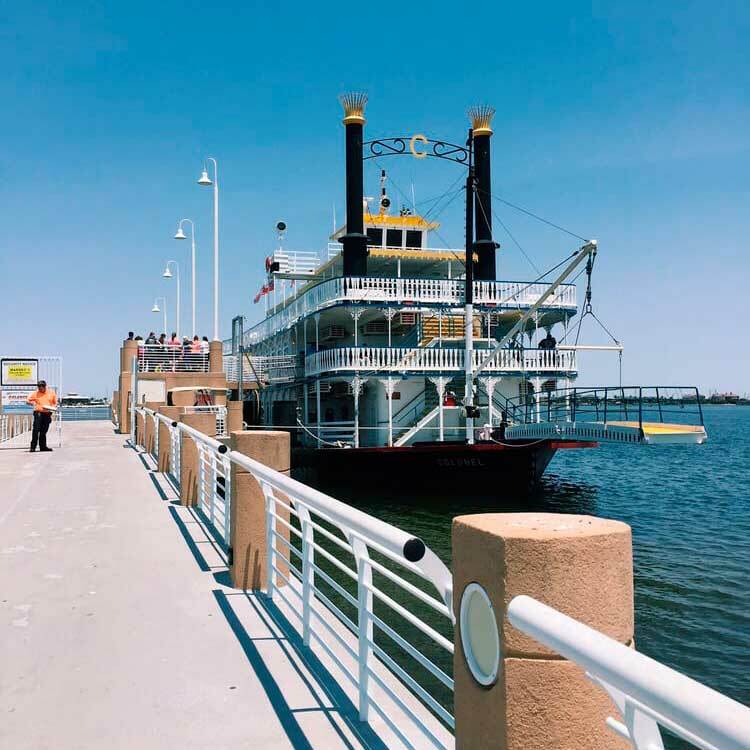 Live the high-life experience of a little day in a The Colonel Paddlewheel Boat Cruise! this one hour-long sailing experience let you explore the beautiful views of the Galveston island from the sea's perspective. This boat is a replica of a 1800s-style paddlewheel boat which can hold up to 800 passengers. With good weather, dinner and private cruises are available for groups of 65 persons or more, For these reservations are needed beforehand. 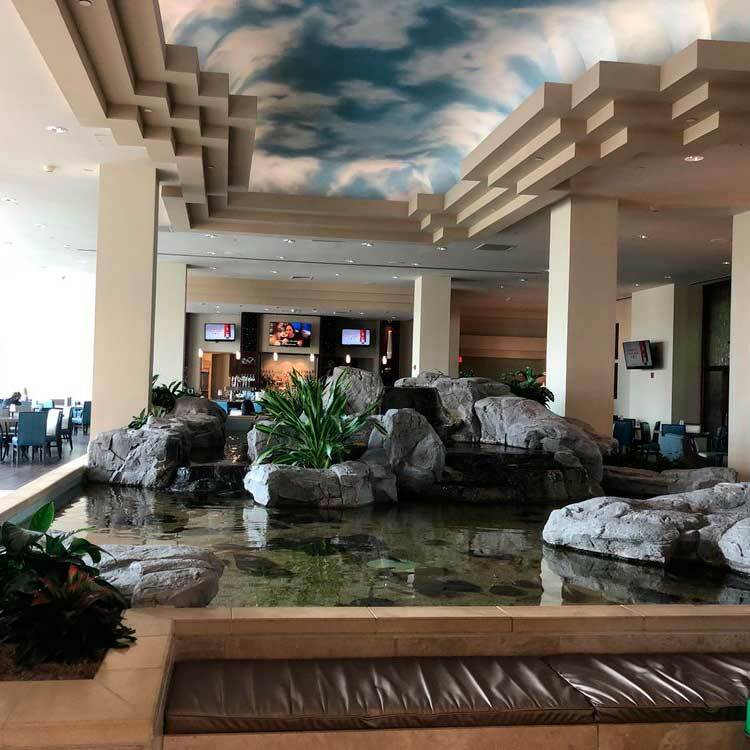 The Moody Gardens takes the holidays to a whole new level of cool! 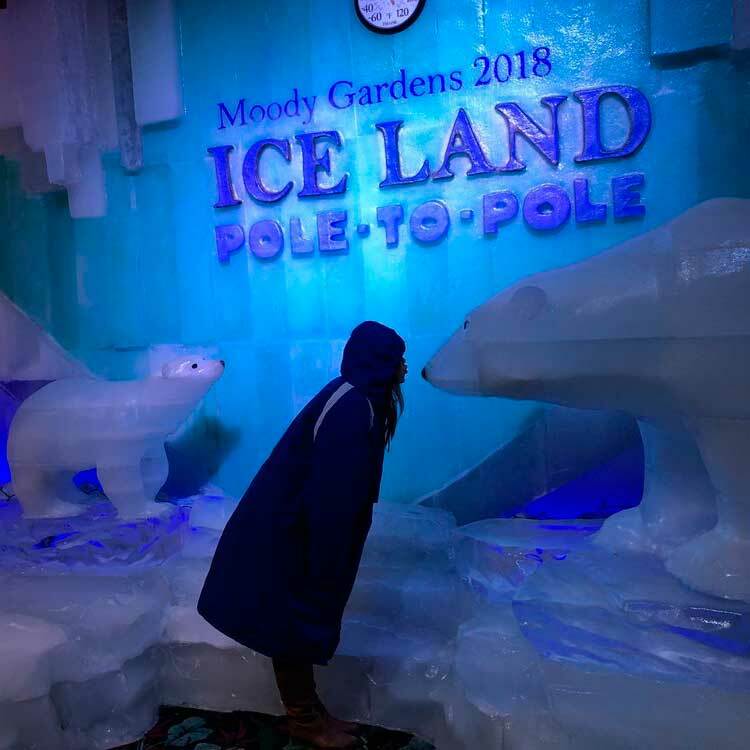 The Ice land in moody gardens is a really fun time with the family, Visit the ice sculptures at 9 degrees so be prepared for the cold! Made by a skilled team of master ice carvers has taken 2 million pounds of ice to create this festive journey from the North to the South Pole. prepare to see polar bears, penguins humpback whales, snowy owls, walrus and of course reindeers! 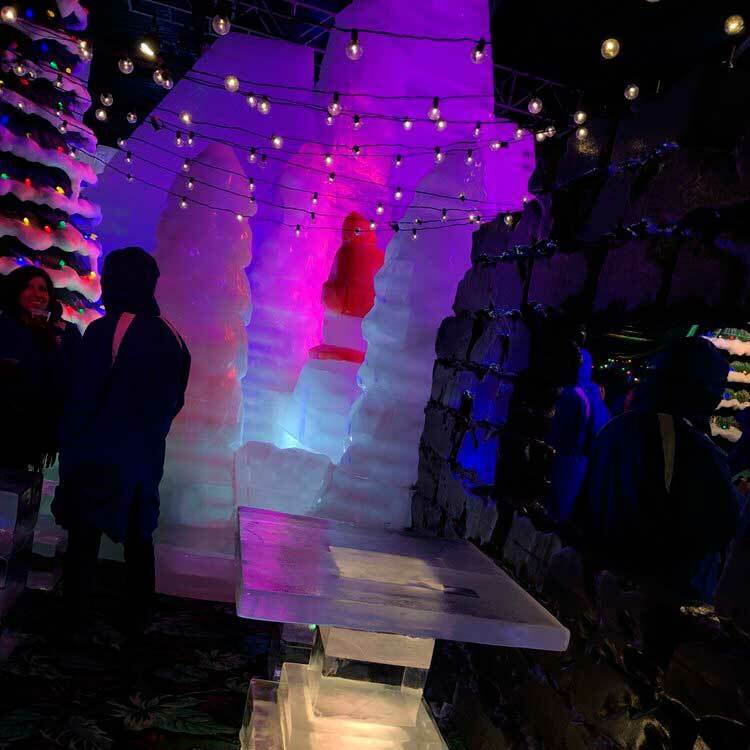 You can even glide down a gigantic glacier slide which leads to the festive drinks at Shiver's ice bar inside a big igloo! As one of the largest holiday celebrations in the region, the Festival of Lights has become a holiday tradition for families and groups alike. Enjoy more than one million lights within 100 sound-enhanced animated light displays and nightly live entertainment. Food Drive Thursdays will also offer guests the opportunity to enjoy the Festival at a special discount in recognition of helping those in need this holiday season. Guests can bring a non-perishable food item every Thursday throughout the Festival (excluding Thanksgiving) and receive a two-for-one admission into Festival of Lights. The food will be donated to the Galveston County and Houston Food Banks. Festival of Lights will continue to shine throughout the holiday season every day including Christmas Eve and Christmas Day through January 8.